The meat of Spark is, of course, the perspective and experiences of the artists themselves, but Julie Burstein, who produced the radio show and compiled the interview excerpts, offers a few insights into the creative process from her own experience. Here, she’s recounting part of a conversation with her mother, a college professor and author. 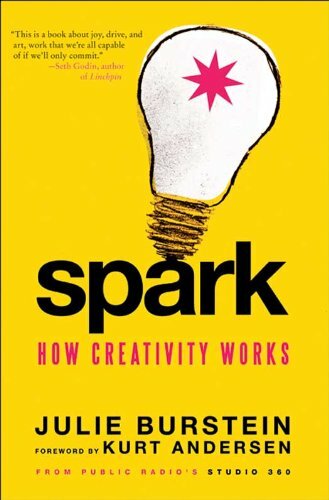 This entry was posted in quotes about writing and tagged creativity, Julie Burstein, Spark by admin. Bookmark the permalink.